The Nacho Cheese Machine maintains air tight control over your cheese sauce, extracting more out of every bag and extending the cheese life. Virtually no cleaning internally, because the cheese never touches the machine parts. Faster loading, easy to line up the pump. Space for a second bag to preheat inside. Three button dispensing control, adjustable settings, and improved air flow. UL approved! This Cheese Dispenser works with almost any brand of bagged cheese. 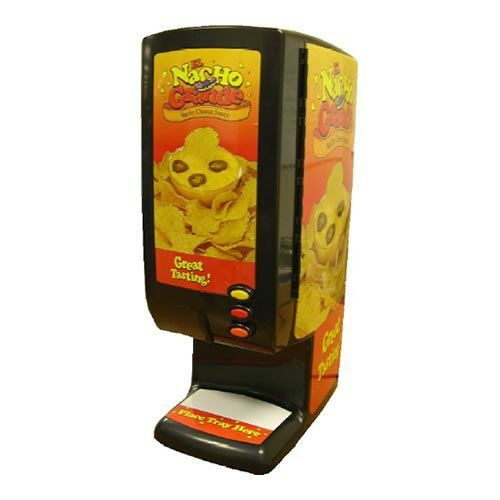 * Please call us for any questions on our nacho cheese machine rentals in Dallas, Fort Worth, Arlington, Grand Prairie & DFW Metro Area.